Now, I am facing my skin condition is coming worser and worser, Spring is coming. There are quite fancy skin care brands like Albion or Cosme Decorte. But I trust Fancl for the bad season. 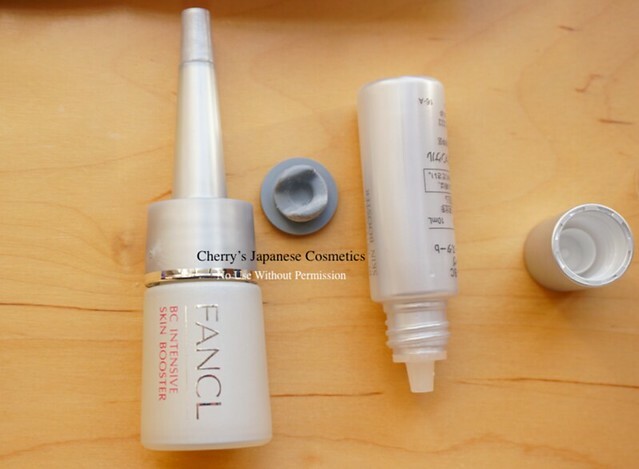 I bought Fancl BC Intensive Skin Booster to prepare for Spring. 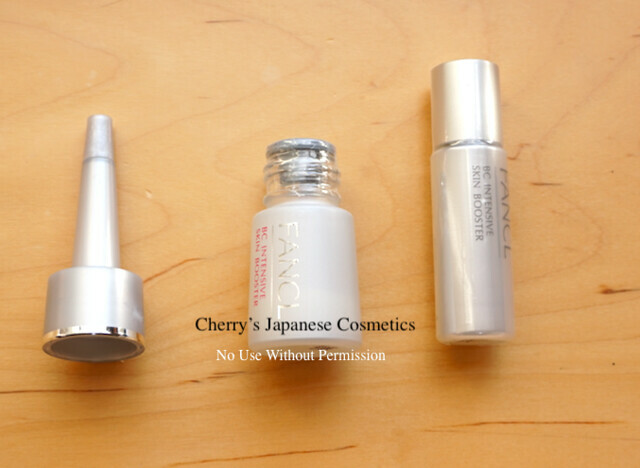 Fancl BC Intensive Skin Booster is 30 days kit, and 3 parts are one set for 10 days. Ok, here is the first set. These 3 parts are for one set, and 10 days to use. You can not use it without “building”. 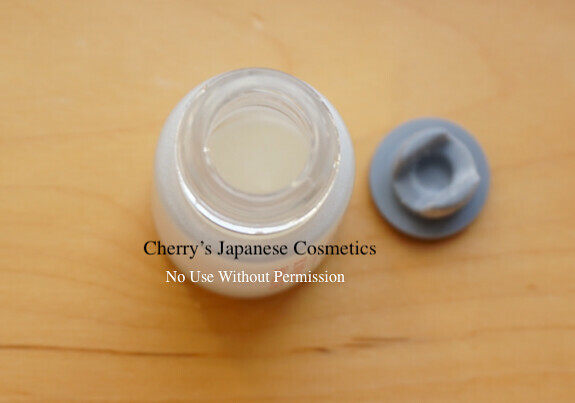 From the left, the cap, the main bottle, and the liquid bottle. 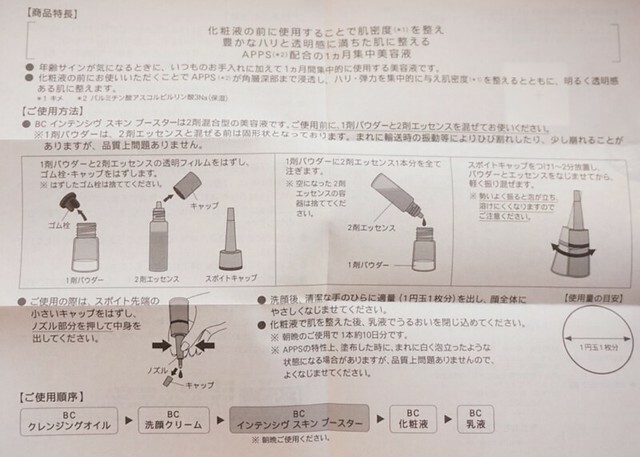 In the main bottle, there is powder, please place the liquid bottle to the main bottle. Keep it for few mins and shake gently. To take this booster, please push the sides of the nozzle gently. To be honest, I shake and spread the liquid around my hands. Don’t do that :DDD Indeed I also admit that pump system is easy to use. Please let me share with how I felt with this Fancl BC Intensive Skin Booster. There are many kind of “booster” or something, like Moisture Liposome by Cosme Decorte, or Ecratfture by Albion. This BC Intensive Skin Booster is also a kind of them. The texture is a little bit sticky, and as I remember both Liposome or Ecratfture are not so much sticky than this booster. And this Fancl booster moisturised my skin pretty well without using other items. The unique part of this Fancl booster is there are no perfume. Both Moisture Liposome and Ecratfuture are good products, but if you read my reviews often, you may know I am not a big fun of the products with perfume. Especially in Spring, I often feel bad — my Asthma also gets worser due to Spring Fever, I prefer the products without perfume. Fortunately in this year of 2018 so far, I am feeling I am controlling my health better than previous few years, yay! 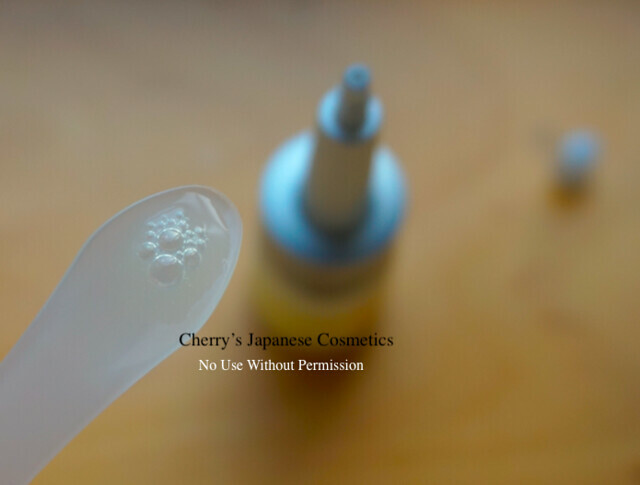 But I also admit I need to prepare the products without perfume. This is the reason why I chose this booster for this Spring. I am using Cosme Decorte AQ Emulsion ER and Lotion ER after this booster. I have already bought Fancl FDR, but my skin condition is not bad to switch to FDR. Both AQ Emulsion and Lotion are the second bottles each after the release, and it is almost done with them. I am feeling my skin condition is better without using this booster, yes, simply that’s “feeling”, or even my “hope”. I hope my skin condition does not come bad as previous years, and my health condition too.